Complete Savings giveaway | Lonely Planet guides! What’s your ideal travel destination? The 101 Holidays site recently revealed that Spain tops the charts for most popular holiday destination, but is this where you want to go in 2014? Are you already planning your summer holiday? Whether you are planning a short break, a trip abroad or a city visit, this Complete Savings competition is for you! 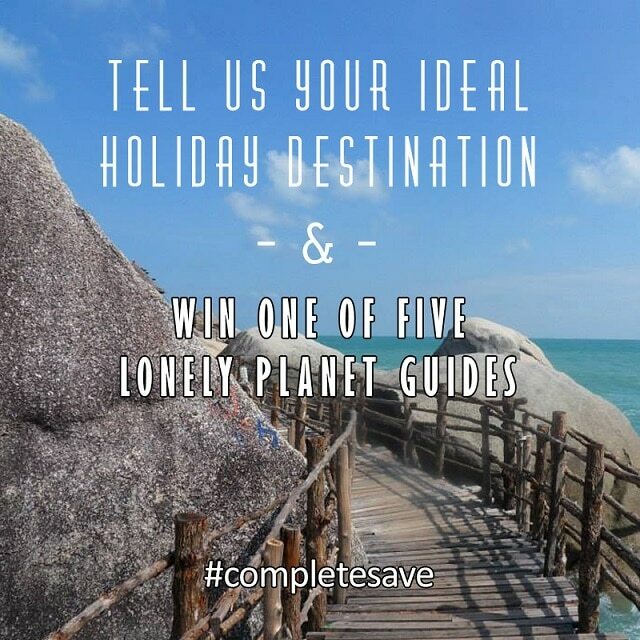 The giveaway is for one of five Lonely Planet guides… to a destination of your choice. The perfect companion for your travel plans!